Can a people and its state be deprived of the right to their state insignia? The fleur-de-lis state insignia of Bosnia and Herzegovina (coat of arms and flag), used during the 1992-1995 war and several post-war years, was replaced by the international community with a new one that remains in use today. Instead of the golden lilies, which for centuries had been symbols of the state of Bosnia and Herzegovina and her people, a newly-designed flag and coat of arms, which have nothing in common with Bosnia’s millennium-long historical tradition, was assigned. Since the newly-designed flag and coat of arms were imposed (that is, the people did not themselves affirm them), it is unlikely that the new insignia will become what the former symbols were. While civil duty demands of citizens to express respect to their formal symbols, this does not prevent those concerned from working on the restoration of the insignia in order that the lilies again become what they were to the people of Bosnia and Herzegovina for centuries. There are many reasons for the people of Bosnia and Herzegovina to be dissatisfied with the newly imposed Bosnian flag and coat of arms. It is not a question of colors and design. They could have been any; the problem lies in the fact that the people were deprived of their right to use their authentic symbols under which their ancestors had fought, had been killed, and had celebrated for hundreds of years. To deprive a people of such a long and rich tradition carries the Lose Weight Exercise of culturecide. The objective circumstance of this issue was not taken into consideration when a solution to the state insignia of post-Dayton Bosnia was sought. The state insignia of a country cannot be treated in the same manner as the symbols of neighboring countries, which are used by immigrants from these countries in the territory of Bosnia and Herzegovina. It would be the same as if the Serb minority in Croatia disputed Croatia’s state flag and insignia and demanded the use of Serb symbols or the Albanian and Hungarian minorities in Serbia demanded the same of the Serbian government. What is unimaginable for others is imposed on Bosnia as a normal solution with neither moral nor legal consideration. 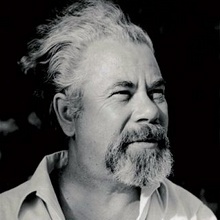 What was done to the people of Bosnia and Herzegovina, who, first of all, identify with and consider themselves descendents of medieval Bosnians––Bošnjanji––is a perverse precedent and cynical deed expressed towards a vulnerable people struggling for survival and whose destiny is tailored by others. In dealing with the issue of Bosnia and Herzegovina’s state insignia, the international community only seemed to act logically. Having in mind that the Serb and Croat parties did not want to accept by any means the fleur-de-lis as the state insignia, the international community determined that the easiest way to solve the problem was to take off the lilies and come up with a neutral solution. This satisfies the Serb and Croat parties because they are against the lilies; the lilies symbolize the historical continuity of the Bosnian state. The imposed solution by default makes the Bosniaks the loseWeight Exercisers because they alone are left without their national symbols. The Croats still have their Croat flag––checkerboard coat of arms–– and the Serbs still have the two-headed eagle, which, in fact, are the official symbols of their mother countries, not Bosnia and Herzegovina. The question now is what should the Bosniaks do? There are already some ideas to proclaim the fleur-de-lis the symbol of the Bosniak people. No matter how much this could seem to be historically justified, this would, under the circumstances, be counterproductive for the Bosniaks. The reason is that legally and historically the fleur-de-lis has the status of the symbol of the state of Bosnia and Herzegovina and not of any of its particular peoples. It is known that in medieval Bosnia there were, collectively, no Serbs, Croats, or Muslims. There was one single people called Bošnjani – Bosnians. Those who are and those who consider themselves descendents not only accept the symbols of their past but also do so with pride because for centuries they represented their heritage. These facts are a moral point that sooner or later will have to be recognized by the international community and the other two parties, the Croats and the Serbs. It is realistic to expect that in the future the fleur-de-lis insignia will again become the official state insignia. Acceptance of the fleur-de-lis by the Croat and the Serb parties would not threaten their national rights as both already have their national symbols of their mother countries. The Croat and Serb parties in Bosnia and Herzegovina should accept and recognize the state insignia of Bosnia and Herzegovina in the same way that their compatriots residing in other countries such as the United States or Australia accept the state insignia of these countries. Diaspora communities recognize the state insignia of the countries where they live, and they use their national symbols on special occasions and in accordance with the regulations of those countries. Those who are not familiar with this issue may wonder why the Bosniaks are so firm in keeping the fleur-de-lis that is disputed by the Serb and Croat parties, all the more so as both parties are ready to accept any other solution except the fleurs-de-lis. We, though, should reverse the question, why are these parties so strongly against the fleurs-de-lis? The question addresses the very essence of the issue related to the statehood of Bosnia and Herzegovina and thereby its survival as an independent and integral country. Those who dispute its statehood do not want any traces or any evidence demonstrating that Bosnia, in its millennium-long history, has never belonged to Serbia or Croatia, but rather has always been a distinct state. These are exactly the facts that bother the Serb and Croat nationalists, who would like to prove that Bosnia historically belongs to them. Hence their persistent endeavors to abolish and displace anything proving the tradition of Bosnian statehood. People who are politically involved in Bosnia and concerned with Bosnia must take into account historical facts that need to be known. First of all, in the Middle Ages, Bosnia was an independent country. Bosnia had its rulers, its bans and kings, its fleur-de-lis flag and coat of arms, its army, its clearly defined and guarded borders, its court and diplomacy, its language with a distinctive script, Bosnian Cyrillic, its unique faith tradition embodied in the Bosnian Church, its people, its currency, and all other symbols of an independent and viable state. Neighboring countries do not necessarily have what Bosnia had and what Bosnia was. We know what the medieval Bosnian state’s coat of arms and flag looked like from many monuments remaining from the Middle Ages. It should be emphasized that Bosnia is one of the rare European countries that has such a long tradition of state insignia. This point is supported with strong evidence. First of all, there are the great state seals by which international treaties were certified. Along with other details, such as the ruler on the throne and the inscription around, the seal also features the fleur-de-lis coat of arms. A seal from the time of King Tvrtko I (14th century) depicts the Bosnian coat of arms and the six-lily flag. The same seal features on Bosnian coins of various issues and types. The best example is King Tvrtko’s gold coin, from the 14th century, in which the fleur-de-lis coat of arms features with a lily on each side. The most valuable monument depicting the state insignia of medieval Bosnia is King Tvrtko’s mantle. It was found in 1910 in his tomb at Arnautovići near Visoko, the site of Bosnian rulers’ mausoleum. 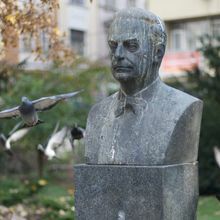 During excavations archaeologists found a rare sight: over the stone stećak under which King Tvrtko was buried, there still stood his royal mantle in the position as it was laid at burial more than seven hundred years ago. It was decorated with lilies embroidered in gold. Due to the unprofessional treatment and neglect of the personnel working on this excavation (at first they were not aware of what they had found), the finding has not been entirely preserved. What has remained of it today is kept in the collections of the National Museum in Sarajevo. You often hear the question of how the lilies got into the Bosnian state insignia and what they mean. Those who are not sufficiently familiar with Bosnia’s past believe they were taken over from the French, i.e., from the Anjou dynasty who in their royal insignia also had lilies. However, we should mention that the lily in medieval Europe was widespread, and we can find it in the coats of arms and flags of many dynasties and feudal lords, both in France and Spain, England, Hungary, Flanders, and Italy. France particularly excelled in this, which is the reason that some historians believe that its origins were there and that it was transferred from France into other countries. The explanation is that it came through political influence or dynastic marriages. Hungary, too, took it from France. Having in mind that medieval Bosnia also had this symbol in its insignia, many think that Bosnia took it over from France, since, ostensibly, Bosnia was Hungary’s vassal. This, however, is not true. Those who are more familiar with medieval Bosnia’s history know that the emergence of lilies in the coat of arms and flag of medieval Bosnia has a longer tradition than the countries considered cradles of the lilies. It is difficult to tell who took over that favorite heraldic symbol. Its broader use may be traced back to the 11th century. It is related to the Crusades when an intensive commercial relationship was established between Europe and the Near East countries. On their way back from the Holy Land, the Crusaders brought goods and objects decorated with the lily symbol; it can be claimed that Europe became more familiar with this symbol through the Near East. However, this is only partly true. The lily symbol has been present in Europe for thousands of years. Back in the second millennium BC it was found in the art of Crete in Greece. In the Knossos palace frescoes, there were scenes depicting young men and girls picking up lilies, and lilies decorate earthen vessels. The lily was also a favorite flower in Egyptian art and the arts of many other peoples; therefore, we could say that it has been a universal symbol of different communities, peoples, and countries in wider geographic territories over a period of several millennia. Bosnia falls within the scope of the countries in which the lily has been present for thousands of years. At Ilidža near Sarajevo, in the ruins of a Roman building, a fragment of an earthen vessel from the Roman time was excavated, from two thousand years ago, in which the pattern of a lily was impressed. This perhaps is the oldest finding of the lily to date in this part of Europe. In the thousand year history of Bosnia, the lily has been the favorite flower. Throughout the medieval period, the lily was the basic feature of its coat of arms and flag. Monument materials indicate that in medieval Bosnia the lily was the favorite flower and perhaps more present than with any other people in Europe. The lily truly belongs to Bosnia’s cultural and historical tradition. The lily had been used in Bosnia as an artistic motif for hundreds of years before the emergence of European dynasties. We mentioned that at Ilidža a Roman monument decorated with a lily symbol had been found dating back two thousand years. As an architecturaldecorative element in basilica buildings, it was found as well on the soil of Bosnia in the late antiquity era (the 5th and 6th centuries). In the Middle Ages, its motif was so often used that it became a logo of the Bosnian people in the true sense of the word. Medieval Bosnians put it on their tombstones (stećaks), their jewelry (earrings, diadems, belts, etc. ), their decorated books, their woven fabrics, and their decorative architecture. The lily as well was described in poems. A poem written in 1330 by certain Završanin reads: “Lily is the flower’s name.” The lily was so favored in medieval Bosnia that the Bosnians of the time were renowned for their association with it. Pope Gregory IX in 1236 wrote a letter to the Bosnian noble lord Sebislav, who ruled the area of north-eastern Bosnia (Soli), and praised him for having remained in the Catholic faith unlike his countrymen. Pope Gregory IX called Sebislav a true lily among thorns, suggesting that other Bosnians had become thorns for being heretics. It would be wrong to think that Bosnian’s love for this flower refers only to the Middle Ages. The same was true during the Turkish rule. At that time, it was usually called zambak. It was grown in courtyards, it was described in poems and songs, manuscripts were decorated with its pattern, it was cut on tombstones, used in decorative architecture, especially in mosques. 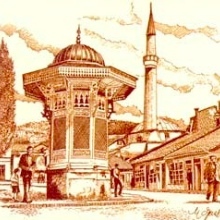 In Gradačac, it can be seen above the prayer niche of the Husejnija Mosque, and in Sarajevo above the main entrance to the Magribija Mosque at Marin Dvor. Although Bosniaks’ love of the lily was partially repressed over time due to historical circumstances, this love was never erased from their subconscious mind. This was manifested in the 1992-95 war when that flower almost overnight was accepted with such ardor and devotion that for many it was a phenomenon. It is interesting that during the war, as it was in the Middle Ages, the lily started to be cut on tombstones again. Songs were sung about it, and combatants defending Bosnia were called the golden lilies. Bosnians turned to this flower in 1991, before the start of the war, when, after a long time, conditions were created for democratic changes to take place. This enabled the people to freely express their political orientation. Under these circumstances, in early 1991, the idea was presented (by the author of this paper) for the insignia from the time of the medieval Bosnian state’s independence to be taken as the new state symbol of the then Socialist Republic of Bosnia and Herzegovina. It was accepted with general approval from the major part of the public. An expert commission was established by the Assembly of Bosnia and Herzegovina, which, in its work, investigated the above mentioned historical and archaeological materials. Their task was carried out, and a draft was presented to the Assembly. In the public discussion, which was conducted in November and December 1991, in the national cultural and educational societies “Preporod,” “Napredak,” “Prosvjeta,” and “La Benevolencija,” support to the offered draft was given by three of these societies, while the Serb “Prosvjeta” society refused to give its support. The breaking out of the war prevented the proposal from going into the Assembly for discussion, and thus the attempt to adopt the proposed solution for the state insignia failed in the pre-war period. Flag of medieval Bosnian state, and Bosnia and Herzegovina ’s during the war 1992-1995. Even before the 1992 war broke out, the fleur-de-lis coat of arms and flag had been widely accepted by the people. This was achieved due to its promotion in the media. The lilies were taken as the basic graphic and design of posters, leaflets, and other materials designed for the national referendum scheduled for 29 February and 1 March 1992, in which the people of Bosnia and Herzegovina were to decide on an independent and autonomous Bosnia and Herzegovina. Bosnia and Herzegovina’s public was well acquainted with the authentic and historical symbols of their country. This contributed to the fact that, upon the outbreak of the war, people passionately embraced the fleur-de-lis coat of arms and flag and offered organized resistance to the aggressor under these symbols. During the four-year war, the fleur-de-lis became the symbol of superhuman resistance, suffering, and heroism of the Bosnian people. Under the fleur-de-lis, a bloody but well-deserved victory was won, which saved Bosnia and Herzegovina from disappearance. This is another reason why the fleur-de-lis entered deep into the hearts of all those who have Bosnia as their homeland and why they treat it with such deep love and emotions. The people of Bosnia and Herzegovina, who love their homeland and are proud of its thousand years long cultural and political tradition, wonder if there is hope for their fleurs-de-lis to become some day what it had been for hundreds of years, and under which, in the last war, Bosnia was defended and saved as an independent country. No one can prevent them from hoping for this. Until they bloom again throughout Bosnia, the Bosnians will keep the lilies in their hearts and memories, to remind them of what the lilies have meant for Bosnia and their ancestors from the days of Ban Kulin and King Tvrtko until our time, when during this last war people were persecuted, crippled, and killed. Despite the fact of the war, the lilies’ roots have not been killed. One day, from those roots the slender, golden lilies will blossom again and cover the whole of Bosnia, from the Una to the Drina and from the Sava to the sea, as they used to.